Enjoy these blazers for everyday office wear, casual occasions, or dressy events. 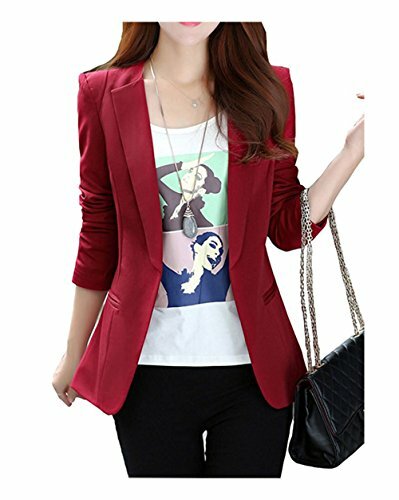 The womens blazers flatter any figure with a slimming effect. Please check measurements for sizes below to ensure best sizing. Size runs small ,pls size up if you like a loose fit . If you have any questions about this product by RubySports Women Clothing, contact us by completing and submitting the form below. If you are looking for a specif part number, please include it with your message.